When many people think of visiting New York, the city, not the state, comes to mind. Although a trip to New York City is a must for any traveler, there is so much else to see and do in New York outside the five boroughs. New York has been an important place in American history since the earliest days of settlement, and it still is home to some of the most beautiful natural areas on the East Coast. These are some of the best places to visit in New York State. 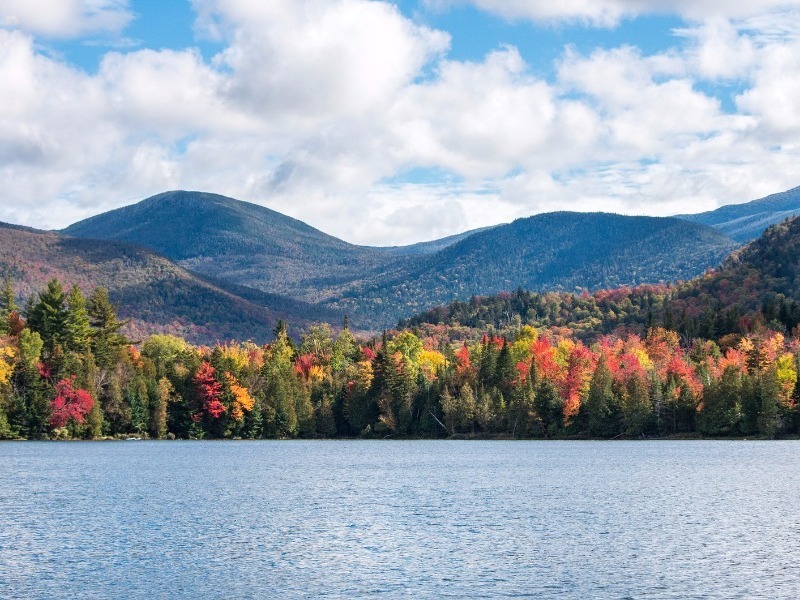 The Adirondacks region is huge and spans a six-million-acre natural area that is one of America’s largest protected wilderness places. Lake Placid is one of the most popular destinations here, which was also a past site of the Olympic Winter Games. Lake George is an especially beautiful area with a rich cultural heritage, and it is full of quaint towns to explore and picturesque accommodations. The Inn at Erlowest is a prime example, as this beautiful turn-of-the-century stone castle was built in 1898 and has been restored into a luxurious lakefront inn and farm-to-table restaurant. The Adirondack Region is the ultimate place for hikers in New York because there are over 100 summits that range in height from 1,200 feet to more than 5,000 feet and can be climbed by hikers of varying skill levels. This is also an ideal New York destination for birdwatchers, hunters, fishers, snowmobilers, and rock climbers. Some of the best climbing spots are around Pok-O-Moonshine Mountain, Moss Cliffs, Rogers Rock, Wallface, and Keene Valley. The Hudson Valley is famous for its traditional county fairs and festivals, which are fun for curious travelers and families with kids too. The Hudson Valley Garlic Festival is a particularly popular one, and there’s plenty of apple and pumpkin picking opportunities if you visit in the fall. Adults can keep busy with the region’s museums and antique shops while enjoying a laid-back and historic vibe. Farm-to-table restaurants and wineries are prevalent here, and there are plenty of places to learn about history through America’s first art movement at the Hudson River School of Painters and Revolutionary War sites. 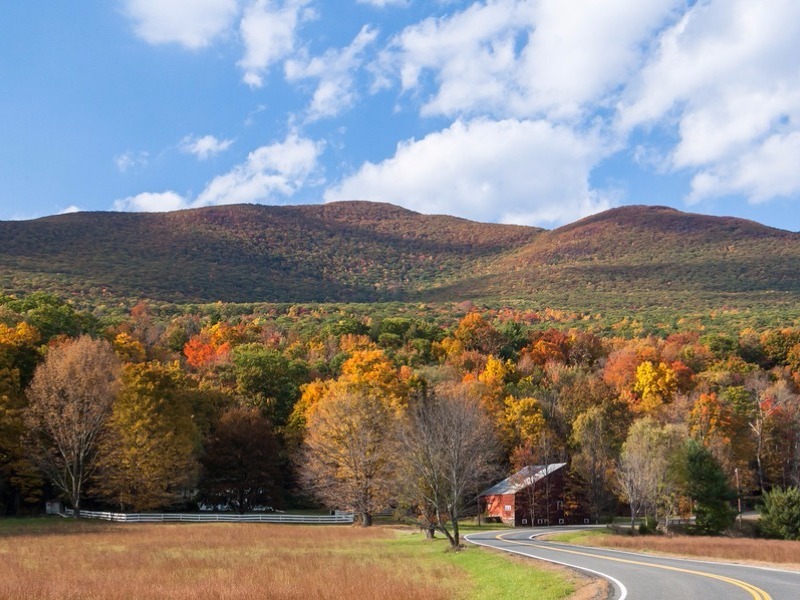 The Catskills are known as a nearby place of regional beauty for New Yorkers, and this is an ideal place to visit for active travelers who like staying busy. In the winter, you can go skiing and snowmobiling here, and there are excellent places to camp, fish, hike, and play golf in the spring, summer, and fall. The top downhill ski areas are Hunter Mountain, Windham Mountain, Belleayre, Plattekill Mountain, and Holiday Mountain. Tubing down Esopus Creek, a Hudson River tributary, is especially fun in the summer. There are also some relaxing spas and resorts here if you’d like to take a break from all that activity. The Catskills are in southeastern New York about 100 miles from New York City. If you’re planning a fall trip to NYC, head to the Catskills to see some of the most beautiful autumn leaves in the region. Wine lovers flock to the Finger Lakes region because this is where over 80 vineyards and wineries are located. 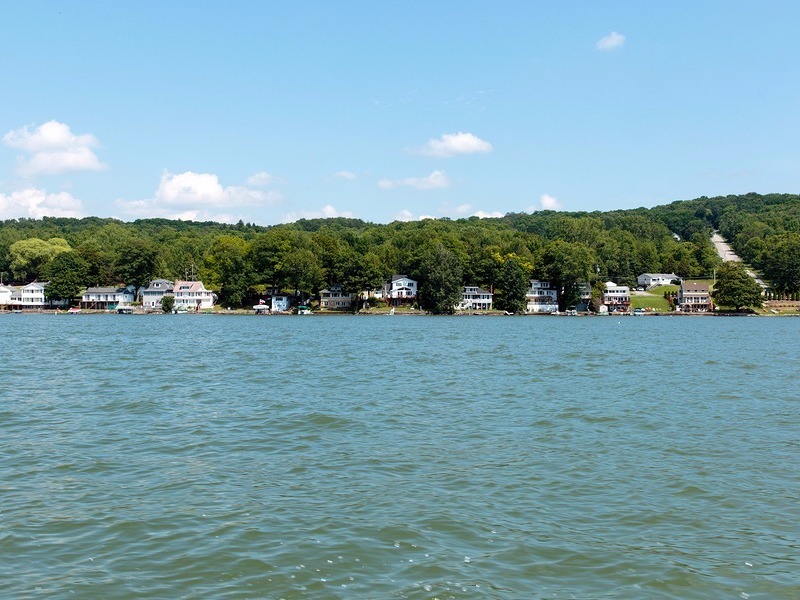 This is a vast region that spans 14 counties and 11 lakes between Rochester, Syracuse and Corning/Elmira. Plan to spend a weekend here at a local bed & breakfast or indulge in a spa weekend with some rejuvenating treatments. This is an excellent place in New York to explore quaint villages and check out a few amusement parks or carnivals if you’re traveling with kids. The Finger Lakes Region is between New York City and Niagara Falls, so it makes an excellent road trip stop when you visit the state. 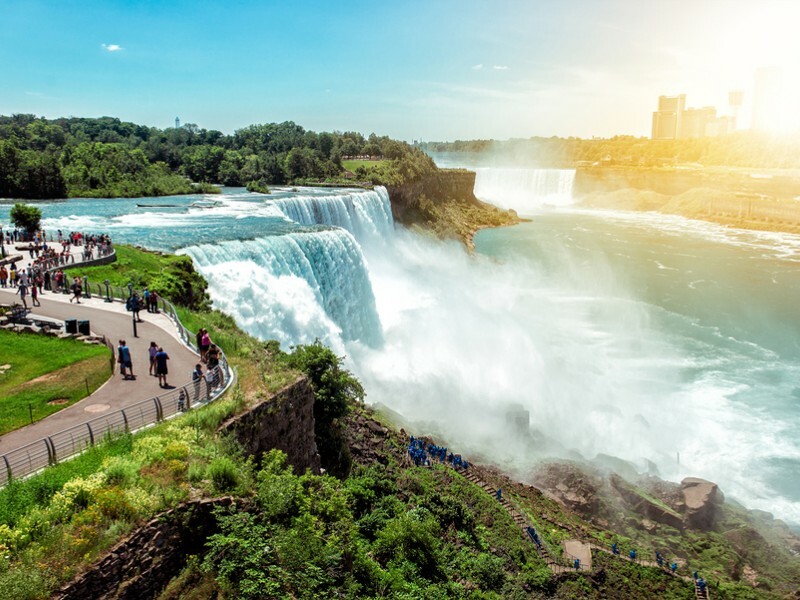 Buffalo is the gateway city to the world-famous Niagara Falls, but it is also a great place to visit for sports fans and families with kids who love theme parks and zoos. Foodies will appreciate the fact that Buffalo is famous for the creation of the chicken wing, and the first wings were served in 1964 at Anchor Bar. You can also check out some great architecture from Louis Sullivan and Frank Lloyd Wright in town. Niagara Falls is a natural wonder of the world that should definitely not be missed. Take the boat tour to experience the falls up close and personal, and cross over onto the Canadian side of the falls for a different perspective. New York’s state capital is Albany, and this is a place favored by history buffs. There are lots of historic homes and churches here where you can learn about the architecture and the people who shaped this region’s history. One popular way to see the Albany area is aboard a river cruise boat. Then head to Saratoga Springs to immerse yourself in New York culture. 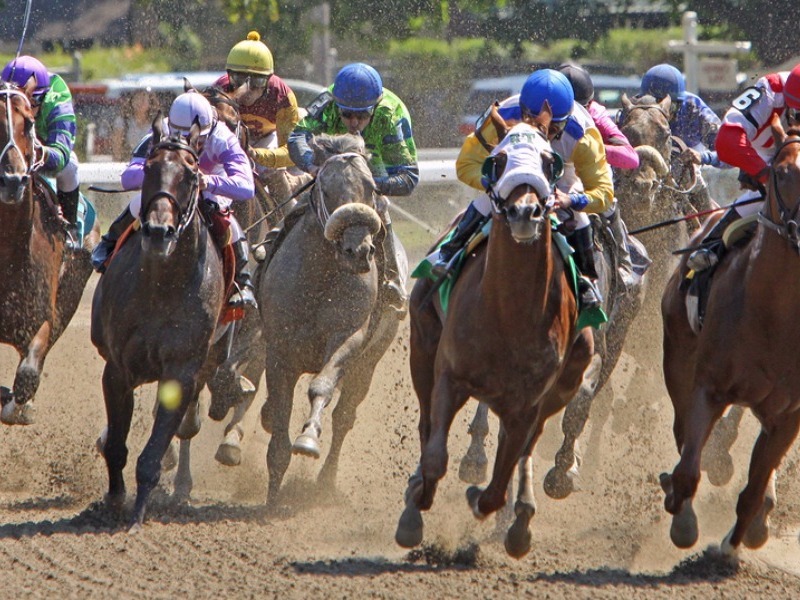 You can watch a symphony or ballet performance, or check out the oldest thoroughbred horse race track in the U.S. Saratoga was once famous for its healing spring waters, and you can still take a dip to rejuvenate at the Roosevelt Baths & Spa in Saratoga Spa State Park. Saratoga National Historical Park is a great place for history buffs to learn about the Turning point of the American Revolutionary War. 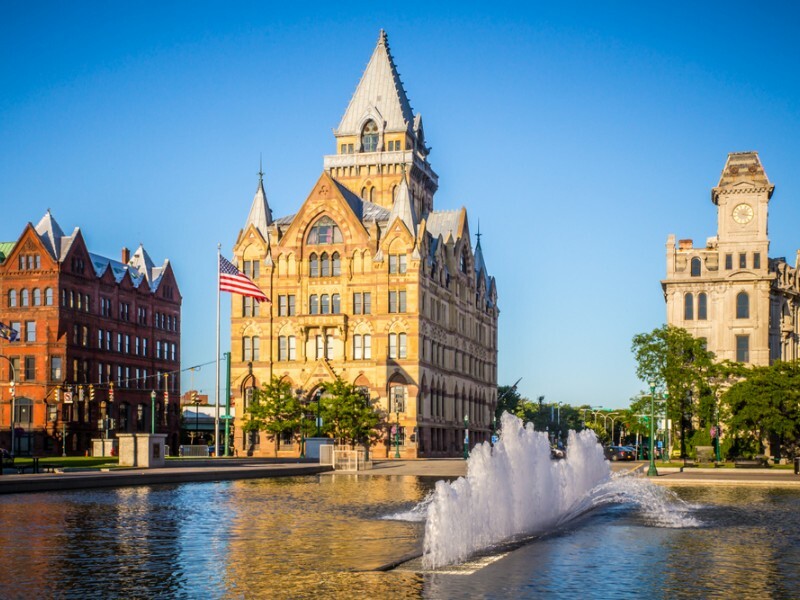 Syracuse is perhaps best known by sports fans who follow Syracuse University basketball, but this is a great small city and family getaway that’s becoming quite popular with tourists. The town has an artistic vibe and beautiful architecture, with a history in the Women’s Suffrage movement and the Underground Railroad anti-slavery movement. There are over 40 golf courses here for golfers to take advantage of, and this is a top foodie destination with lots of funky food trucks and farm-to-table restaurants. Syracuse is also a great place for music lovers because there are several jazz and blues festivals that take place here. 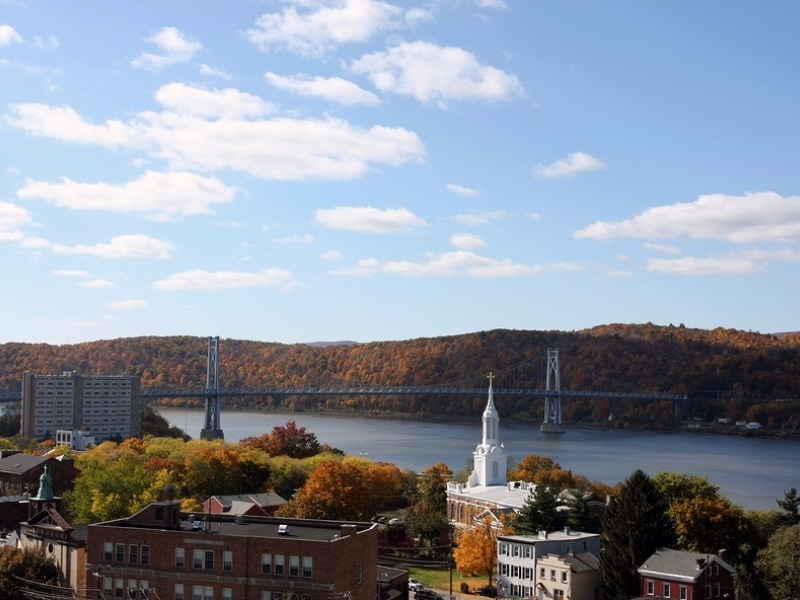 Another college town that has become a top tourist destination in New York is Ithaca. This town is at the tip of Cayuga Lake in the Finger Lakes region and is known for hiking trails, art-house cinemas, and great food. 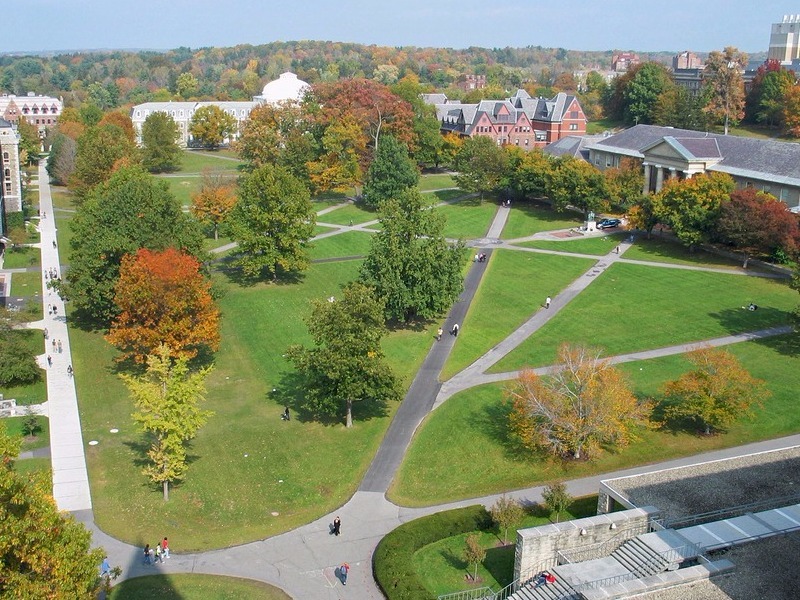 Cornell University is located here if you’d like to check out the Ivy League campus. Some natural areas to spend time in around Ithaca include Buttermilk Falls State Park, Robert H. Treman State Park, and Taughannock Falls State Park. Water lovers will simply adore New York’s Thousand Island region, which is best experienced from a boat cruise, float-plane, or hot air balloon. 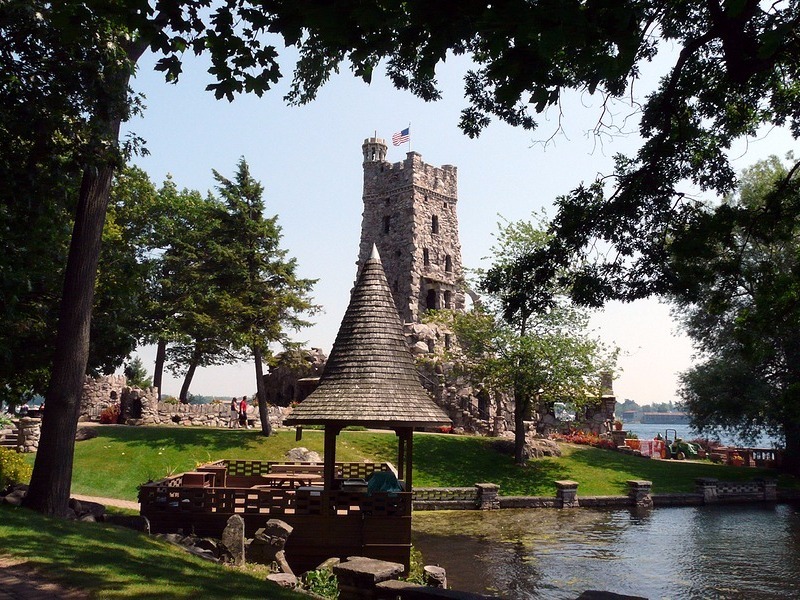 Don’t miss the Boldt Castle and the antique boat museum while you’re in this area. And make sure to enjoy a few quaint meals with fresh seafood in the Thousand Island villages! New York City is an obvious starting point for many travelers to the state of New York and certainly worth visiting again even if you’ve been here before. 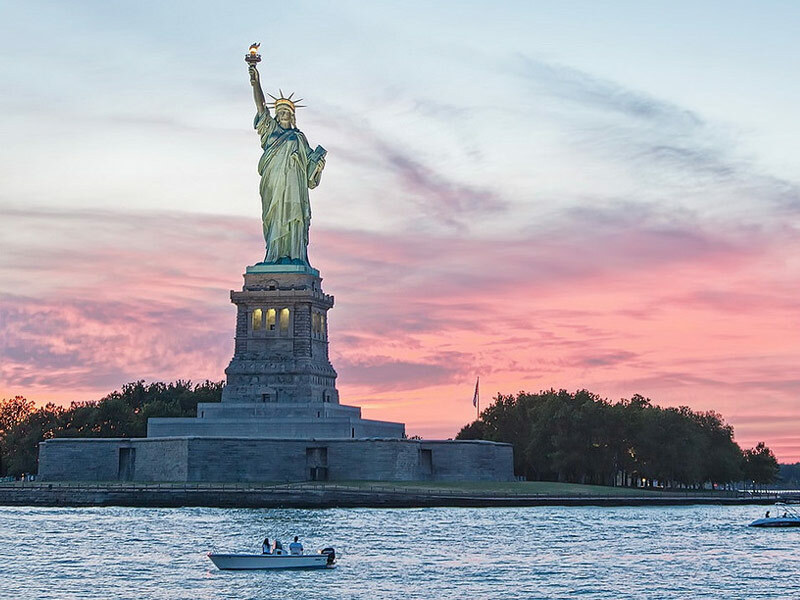 You’ll find an endless array of popular attractions, where you can admire towering skyscrapers, catch Broadway shows, take a ferry to the Statue of Liberty, and feel the energy of one of the most vibrant cities on the planet. From Manhattan to Brooklyn, Queens, the Bronx, and Long Island, this is America’s ultimate urban destination and one that has something different to offer every season. Some of the most popular NYC experiences include Central Park, Times Square, the Brooklyn Bridge, the Empire State Building, and celebrity restaurants.